Can you believe it's August already? 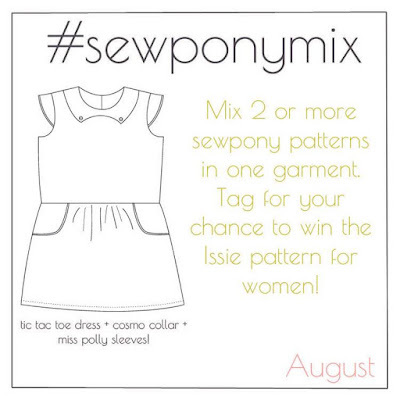 This month for the sewpony sew along, the theme is #sewponymix. Mix two or more sewpony patterns to create something new!! Would you like to sew along? 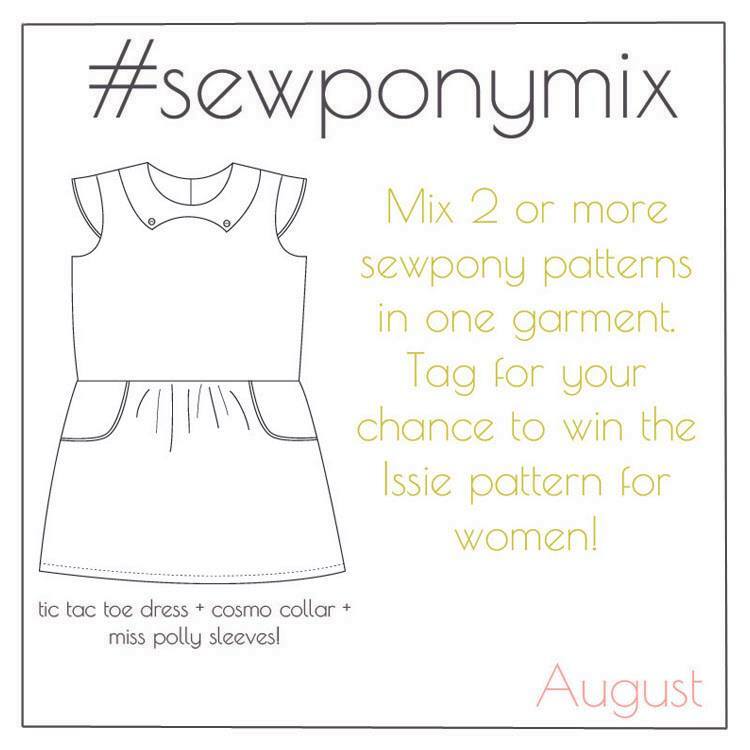 Simply upload your photos on IG with the tag #sewponymix by August 31st and you could win yourself a copy of the yet to be released Issie pattern for teens/women! July's theme of #sewponysolids had one unanimous winner - Karo Thom with her gorgeous blue Juliette dress! 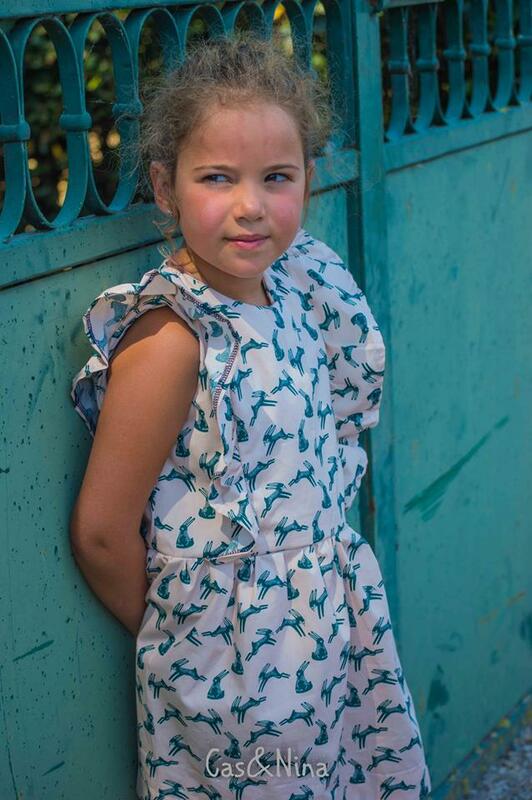 Congratulations Karo, you will be receiving two sewpony kids patterns of your choice! To showcase the new theme, Maria and Deborah have both sewn beautiful dresses and I am inspired to try both mixes!! Maria from a ratitos perdidos (photo above) has made an amazing dress using the Sunday picnic dress and tic tac toe pattern! I really want to try this...it looks so gorgeous! The bows are the perfect replacement for the buttons in the original pattern and the bodice and skirt look perfect together! Well done Maria! 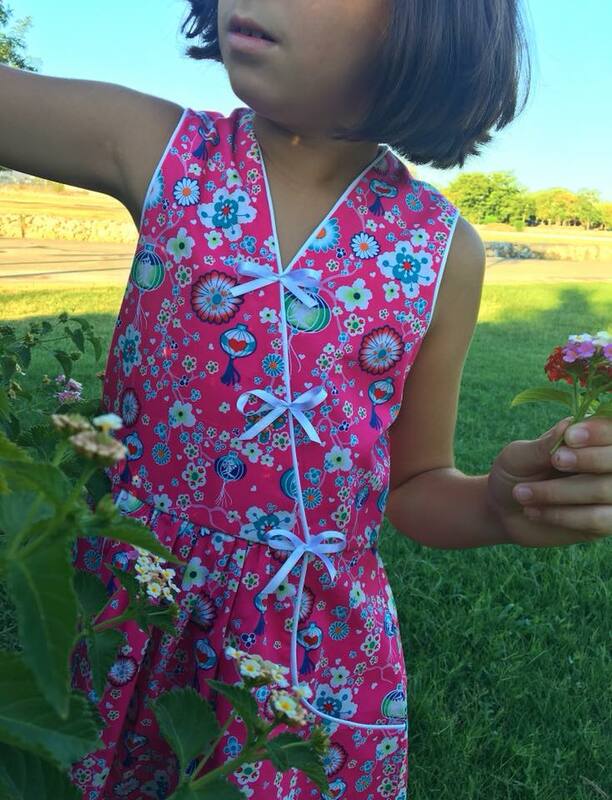 Deborah from Cas n Nina has made a super sweet summer dress using the Issie pattern and the tic tac toe pattern. I never thought to use the Issie ruffles on a woven pattern, but now my mind is ticking thinking about other possibilities. Gorgeous Deborah!! Did you know that most sewpony patterns can be mixed and matched? All the woven dresses can accommodate each others sleeves. All woven dresses (except Juliette and Finch) can accommodate each other's collars. The Juliette and Finch dresses have a different neckline due to being finished with bias binding. And as Deborah has shown us, the ruffles from the Issie pattern can be used on the dresses where suitable. The sleeve ruffles of the Issie pattern could also be added to Catherine cardigan. Endless possibilities!! I hope you can sew along! !